M135i to Get Manual & xDrive. M Performance 7 Series Possible. BMW M Supercar? Some interesting info comes out of a recent interview by Jens Meiners of Car and Driver with the BMW M President, Dr. Friedrich Nitschke. In the interview, when asked about the M135i concept, Dr. Nitschke confirms that the production version will be virtually identical to the concept and powered by the N55 engine. It will also come with both manual and automatic transmission options, as well as an optional xDrive AWD. 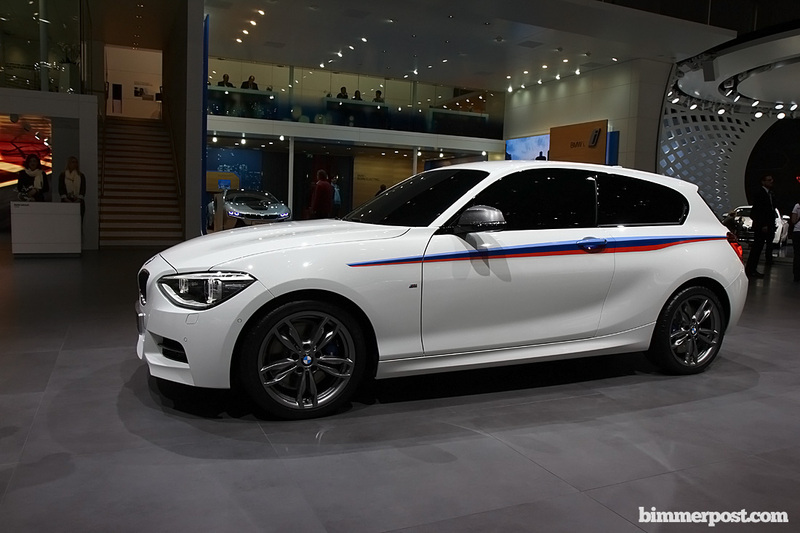 The manual and AWD options would have been popular with the North American market, but unfortunately Dr. Nitschke once again confirms that the F20 hatchback will not be making it to the U.S. (But, Dr. Nitschke has confirmed that a M135i coupe [or M235i coupe as it may be called] will be available in North America). When asked whether BMW M has plans to bring an M Performance 7 Series to market, the M President lets on that it is being considered. There are some more interesting topics covered by Jens during the interview, including discussions about BMW's use of turbos and manual transmissions. Catch the full interview at C&D. I'd love to see a BMW supercar. Something with a design similar to the I8 but larger. Also, needs to have the M3 GTS V8. It will never happen but we can dream lol. Hell, I'm sure if they built one, it'd have its own engine. I wonder what it would take to get the BMW board to allow them to make a supercar. Do you know if the M135i coupe (or M235i coupe) would be offered with the X-Drive in North America? Since it will be available for the F20 M135i hatchback, I have little doubt that both manual transmission and xDrive will be options on the coupe for the NA market as well. There's still a solid loyal following for manual transmission in NA and BMW is aware of that - example is the 6MT being available on the new M5 for the NA market exclusively. And xDrive sells very well here, so I don't think we have to worry about either not making it here IMO. Do you have a source for this info ? I'll take a TT V10 supercar! Does this finally mean sport suspension for x-drive vehicles? I certainly hope so, I'm tired of having to buy coil-overs just for a nice ride height and some improved handling. If it's a true M performance model, like the m550d and others it will have a ton of changes and unique parts all developed by M.
Most notable of which will be hydraulic steering, totally diff suspension down to the ball bearings, springs, coils, wheels, tires, anti-roll bars, transmission shift program. I don't know about LSD or DCT, but wouldn't be surprised. Assassinate them and then let us be the board. If it's just a power boost and few suspension tweaks, I doubt it will be worth it. If however it gets the torque vectoring xdrive fm the X6 or a mechanical LSD with rear wheel drive, I think many ppl will be interested. can somebody please let me know what the big deal is about selling hatchback BMWs in North America? I mean, why is BMW refusing to do so? Do Americans generally hate hatchbacks? It won't be just a power boost and M sport suspension as another member claims. Read up on the M550d and you'll see that it's not just a software tune, M sport suspension, and some M badges. I don't think Americans hate hatchbacks per se, it is just that not many of us buy them for one reason or another. Ther are notable exceptions such as a GTI or Mazda 3, and obviously Audi has found a business case for the A3. But, by and large, hatchbacks sell in small numbers here. BMW NA probably just can't make the numbers work for the F20, unfortunately. When you consider the relatively low price such a car would have to be offered for here, you'd probably need to move a not-insignificant number of units just make it a break-even scenario, much less to make a decent profit. I guess when it comes down to it, it's all about numbers.